Over the weekend I pottered around in the garden, mostly pulling up weeds. Henning brought a few baby koi home from the pet store so time was spent pond gazing. I worked on my cloth Hittys and baked a batch of cookies. Not a lazy weekend, but very relaxed. Lovely! I've been trying to make miniature thread spools. These are 1:12 scale for a dolls house. It's fiddly work, but I'm enjoying trying to make them look 'real'. 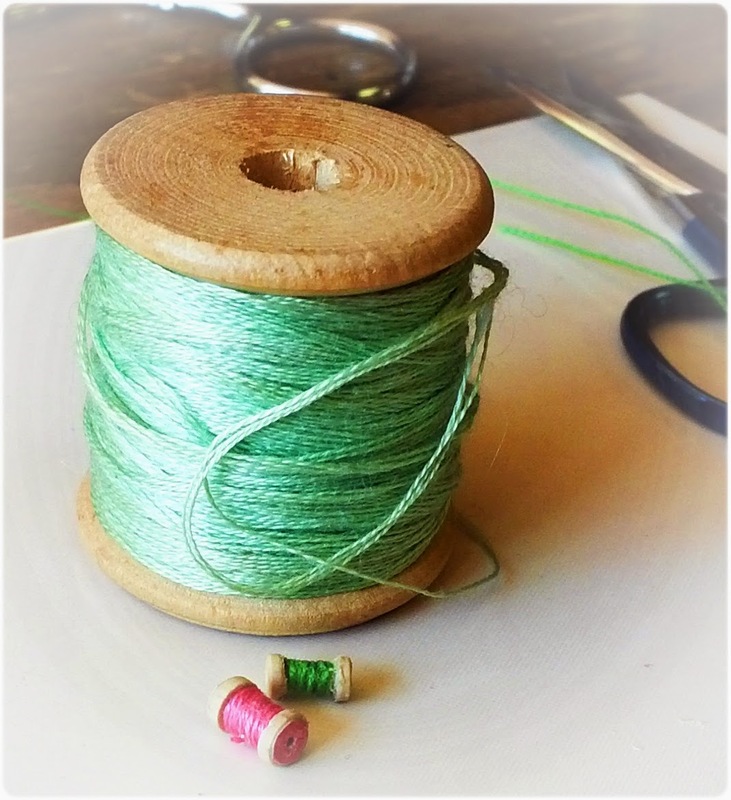 You are not only trying to make those spools of thread look real, you have achieved it. They are so tiny and wonderful. I hope you haven't got aches and pains from gardening. Thanks Kay, with my new glasses I can finally see what I'm doing and I'm getting back to making miniatures. I garden like an old lady, potter around and pull up a weed here and there. Mostly I do it because it feels good to be outdoors. Megan, the spools of thread are wonderful and so tiny :)! Here it was also lovely and warm weather this weekend, it even was too warm for this time of the year: 20oC!! So I've also worked in my garden, before the winter will come ;))! Thank you Ilone, that is great praise coming from a master miniaturist!